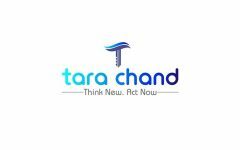 Business description - Tarachand Logistic Solutions is engaged in providing reliable and affordable logistic and supply chain services including Transportation and Warehousing, Equipment Rental and Steel Processing and Distribution. The company serves a broad range of industries, including steel, urban and rural infrastructure, oil and gas, renewable energy etc. As of 31 December 2017, its transportation fleet included 42 owned trailers while equipment rental fleet included 292 owned cranes ranging from 10 MT-800 MT lifting capacity. The company’s own automated steel processing machineries like shear line, twin master, robo master, compressor, decoiling machines etc. totaling to 32. In the warehousing division, Tarachand Logistic Solutions handled 1.5 million MT of steel in nine months upto 31 December 2017. It also provides services through equipment hired by it as and when required, to provide timely and quality services to its clients which includes Reliance industries Ltd., Larsen & Toubro Ltd. (seven Independent Companies), Steel Authority of India Ltd., Rashtriya Ispat Nigam Ltd., Oil and Natural Gas Corporation Ltd., Tata Projects Ltd., Hindustan Construction Company Ltd., Vedanta Ltd., J Kumar Infraprojects Ltd., NCC Ltd., Welspun Corp, ITD Cementation India Ltd., Bharat Heavy Electricals Ltd., Gayatri Projects Ltd, Megha Engineering & Infrastructures Ltd.
Tarachand Logistic Solutions IPO allotment status is now available on Sharex Dynamic's website. Click on this link to get allotment status.